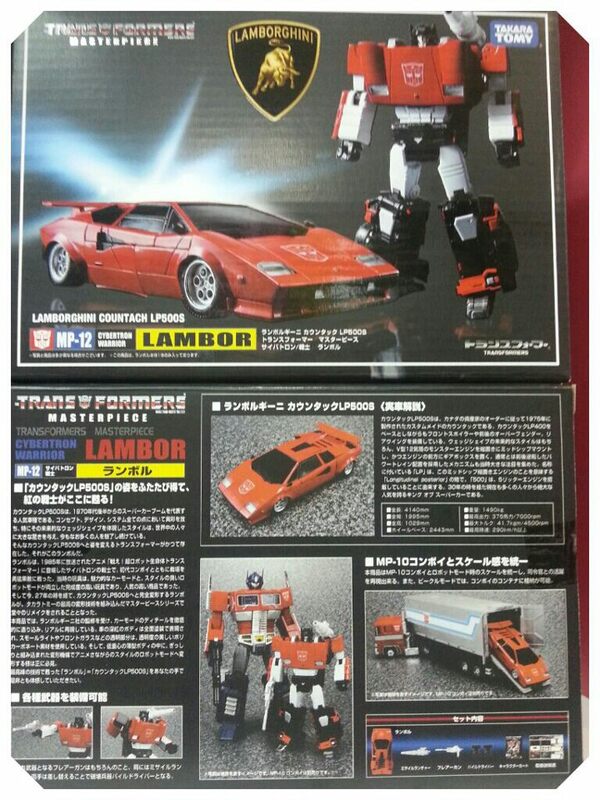 Takara Tomy just sent in the latest stocks for the Masterpiece MP-12 Lambor and the figure is made to scale with your MP-10 Optimus Prime convoy and it’s easily fir into the back trailer of the convoy too. Sideswipe’s overwhelming combat prowess and casual disregard for fair practice rival those of his twin brother, Sunstreaker, while lacking the element of Sunstreaker’s vindictiveness. 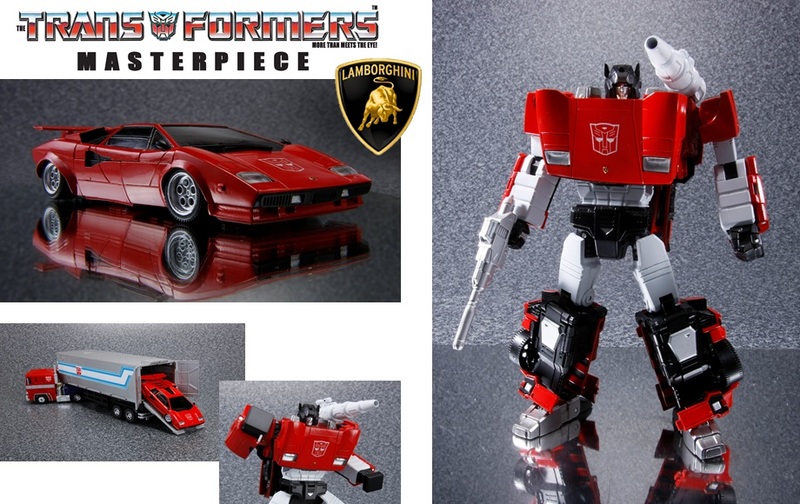 Sideswipe’s fearlessness fuels a compulsory headlong rush into any battle, and he is often wounded by his own excesses. His greatest source of pride is his rocket pack, which enables him to fly for up to 2 minutes. Sideswipe’s reflexes are drastically heightened by quantum reflex processors. His arms can be utilized as piledrivers, and he is capable of firing flares that are visible for 18 miles. You can check on the video review here as well from Takara Tomy Channel.